Styled with relay panel pant . 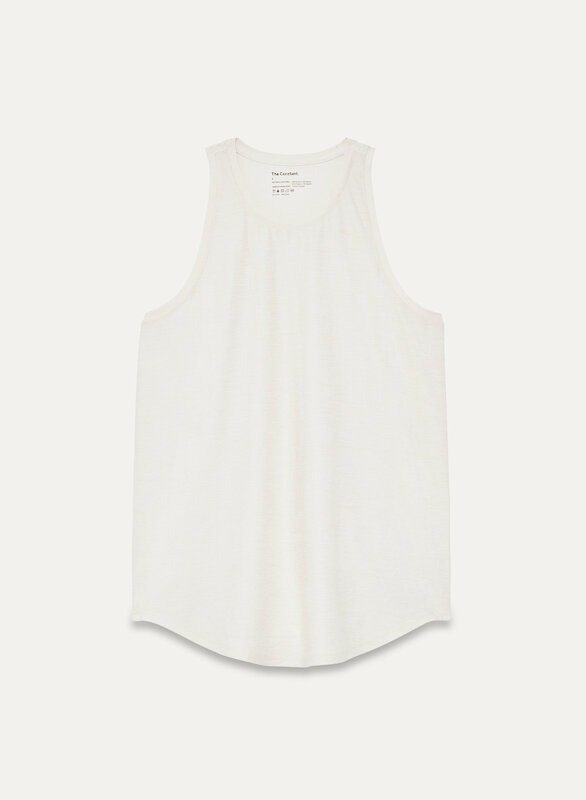 Inspired by the classic muscle tank, the Darla shows off the goods via dropped armholes without giving everyone a show — thanks, high neckline. Wear it loose or knot it for those higher-intensity moments. I love this workout tank - neckline and arm holes aren't large enough to show off any cleavage or my sports bra, which is exactly what I was looking for. Soft fabric. I wish they made more colors. Size S fits well - I'm 5'6", 130lbs, 34 inch bust. Fabric is great and cut is spot on and very flattering!Please make more color options!